On 7 May afternoon, the Council of Europa Nostra held a special session entirely dedicated to the outgoing and incoming leadership of Europa Nostra. This meeting was the last meeting chaired by the outgoing Executive President, Denis de Kergorlay, and took place at the prestigious venue of the “Cercle de l’Union Interalliée”, historic private club in Paris of whom Denis is the President. On this occasion, members of the Europa Nostra Council and Board paid tribute to Denis de Kergorlay and the outgoing Executive Vice-President John Sell for their outstanding leadership of Europa Nostra since 2009. Simone Mizzi (Malta) and Jacek Purchla (Poland) were appointed for a first mandate as Vice-Presidents, and Piet Jaspaert (Belgium) was reappointed for a second mandate as Vice-President. After the addresses by Denis de Kergorlay, John Sell, Hermann Parzinger and Guy Clausse, the Vice-Presidents (Androulla Vassiliou, Federico Guasti, Irina Subotić, Jacek Purchla, Piet Jaspaert, Simone Mizzi), the President and the Vice-President of the Scientific Council, and the Secretary General of Europa Nostra paid tribute to the outgoing leadership of Europa Nostra praising their huge contribution – acting as dedicated and generous volunteers – to the transformation of our organisation into a true European movement of civil society committed to cultural heritage. 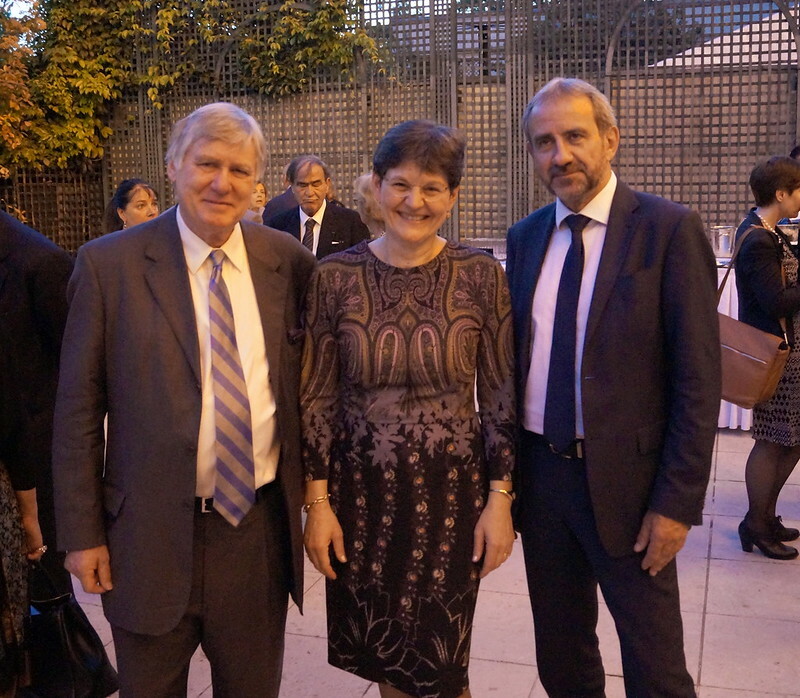 A festive reception took place after the meeting in the garden of the Cercle de l’Union Interalliée gathering all Council members, accompanying persons and guests. A special tribute to the outgoing leadership of Europa Nostra will be also held at the next meeting of the General Assembly which will take place on 23 June 2018 in Berlin. The Council also agreed to propose to the General Assembly in Berlin to appoint Denis de Kergorlay as Honorary President of Europa Nostra. On 8 May, the first Council meeting chaired by the new Executive President, Hermann Parzinger, took place at the Cercle Interallié. The meeting opened with tributes to the late H.R.H. Prince Henrik of Denmark, former President of Europa Nostra, and to the late Angus Fowler, former Council member and Honorary Life Member. During the meeting, the Council members endorsed the Annual Report 2017, including the audited annual accounts 2017, as well as the draft budget 2019, which will be presented to the General Assembly for adoption on 23 June in Berlin. The Secretary General gave an extensive overview of the activities which took place since the last Council meeting of November 2017 in The Hague and the Council discussed the latest policy developments related to cultural heritage, including those related to the European Year of Cultural Heritage 2018 and the European Cultural Heritage Summit of June in Berlin. The next meeting of the Council will take place on 14-15 November 2018 in Lisbon (Portugal) on the occasion of the next Helena Vaz da Silva Award Ceremony. It will be organised in cooperation with the Centro nacional de cultura and the Gulbenkian Foundation.